Half of Team Wareable is prepping for CES 2017 as we type, the other half smiling smugly in their post-holiday glow. This year we're a media partner and the big Las Vegas expo officially begins on Thursday 5 January. Check back on the site for startup and crowdfund launches on Tuesday 3, though, and big press conferences (including Samsung, Sony and HTC) on Wednesday 4 January. Check out all the official info at CES.tech. We'll probably see new wearables from Fitbit, Garmin, Samsung, Polar, Jabra, Misfit and more at the show, based on previous years' showing, plus we're bound to see some new hearable and connected car launches. Below is just a taster of what to expect in terms of the big headlines based on leaked pictures, early announcements and likely rumours. 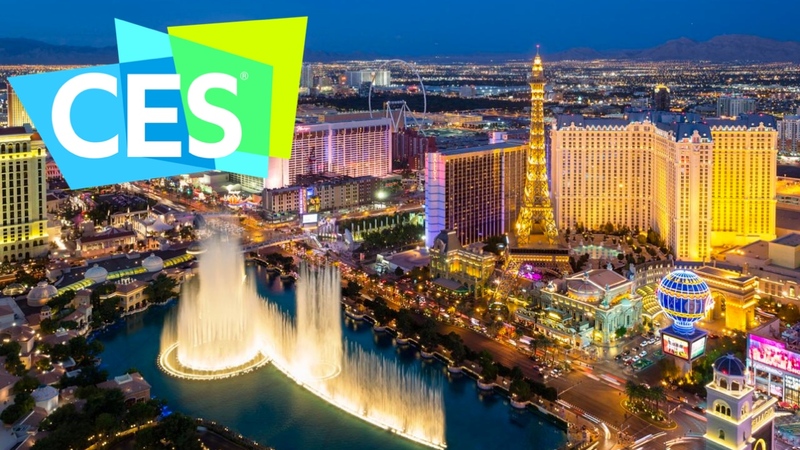 Let us know in the comments what you're hoping to see at CES and look out for all our coverage over the next week or so including news, interviews, hands on first impressions and trend round-ups. This CES could be the first show in which AR gets truly as much hype as VR. We've seen a shift in the industry talk in the past few months and it's high time mixed reality startup Magic Leap did some wider demos to shut the haters up. Also look out for what Snap, Vuzix, Meta et al are up to in this space. Microsoft's plans for a whole bunch of affordable Windows 10 mixed/virtual reality headsets could see new kit at CES from HP, Dell, Lenovo, Asus and Acer, though this may be wishful thinking that we will see the devices so soon. As for VR, expect to see wireless accessories for the big two headsets as well as hand tracking tech and other peripherals. HTC is holding a Vive press conference so the rumours were that it could steal the show with a HTC Vive 2 (codenamed Oasis) which was being teased as a refresh of design and performance, not necessarily a standalone VR headset. Now HTC seems to have ruled this out we're looking at (probably) refreshed Vive controllers - revealed at Steam's Dev Days - could be on the cards. Qualcomm is also already talking up its new Snapdragon 835 processor for mobile VR and will be showing off a Power Rangers VR experience with Lionsgate at CES 2017. Intel will no doubt either announce new components or give us a big update on its RealSense mixed reality headset, Project Alloy plus Nvidia will be at the show too. For mobile virtual reality fans, the Samsung Gear VR 3 is more likely to show up at MWC in late February but we could also see some Oculus and Samsung announcements. Check back: HTC's CES press conference starts at 3pm PT/11pm GMT on Wednesday 4 January. Qualcomm's CES 'product unveil' starts at 2pm PT/10pm GMT on Tuesday 3 January. Intel's CES press conference is at 4pm PT/12 midnight GMT on Wednesday 4 January. Finally, check out Nvidia's announcements slightly later from 6.30pm PT/ on Wednesday 4 January. This one was announced by New Balance way back at CES 2016 and we've heard almost nothing about it since. So it would only be polite to give us an update on the Intel-powered, running focused Android Wear smartwatch this time around. Expect to see it - with Android Wear 2.0, GPS, built-in music storage and a firm release date - in Vegas. Check back: Expect to hear from Intel at 4pm PT/12 midnight GMT on Wednesday 4 January. Yes, we'll see some augmented reality tech - as per above - but the trend is for deconstructed smartglasses with launches that have one or two features, not necessarily including an AR display. One example is the Safilo Group's Smith smart sunglasses - we know some details but haven't seen any pics yet. What's particularly interesting is that Safilo plans to roll out the tech across Dior, Gucci, Fendi and Hugo Boss glasses and sunglasses in the future. This is semi exciting - LG hasn't exactly blown us away with its smartwatch vision so far, though it did get on board with standalone Android Wear quickly (in theory at least). The new series hasn't had any leaked pics but the four models should arrive with LG's Watch Pay service. Check back: LG's CES press conference is at 8am PT/4pm GMT on Wednesday 4 January. We will have hands ons of any new LG wearables up on the site on 6 January if not before. A new Fossil brand - Chaps? Fossil has hinted that we should look forward to plenty more wearables from its brands which include Armani, Michael Kors, Skagen and Diesel. Now, this could be completely new devices or it could be new styles of its huge list of 2016 wearables. It has also hinted that a Fossil Group brand which has yet to announce a wearable will have a launch at CES. We're gonna assume this is Chaps with some hybrid watches - it's the only designer name mentioned in early 2016 that we haven't seen something from yet. It's Xiaomi's first time at the Las Vegas conference so it will no doubt want to make a splash with some new devices. This might be phones, sure, but we could also see a new budget Mi Band (it launches them thick and fast) or a new addition to Huami's Western-leaning, fashion-focused Amazfit series of trackers and wearables. Plus, don't forget Xiaomi sells all manner of smart home stuff in China so we could see some of this at CES too. We named it one of the big trends of 2017 and we fully expect CES to show us that wearable tech isn't just smartwatches. We'll be looking out for smart clothing (and smart shoes like the Under Armours below), smartglasses, health tech - including the Ava pregnancy tracker - plus stick-ons/implantables/tech tattoos and every in between. Plus we'll be checking out the latest smart earbuds and hearables on the showfloor to see if the next wave of wireless earphones will add more smarts like fitness and virtual assistants. Check back: CES Unveiled on Tuesday 3 January usually throws up some wacky wearables and cool concepts. We'll be reporting live from the pre-show show with hands ons and interviews. We've written about how car companies are working to connect the driver and we'll see the latest in-car tech from Ford and co this CES. The focus might well be on self-driving cars which are on the verge of going mainstream but we'll be keeping a look out for driver and smart home focused news. These are a shoe-in (sorry) for CES as they've already been announced for the show. The new Gemini 3 smart running shoes come in three new styles and offer up more data for runners, right down to a Jump Test feature that measures muscular fatigue and knows if you're too tired for a long run.